Scotland has a rich and diverse history, having at times been home to the Celts and Vikings. Nowhere can this diverse heritage be seen as clearly as in the Outer Hebrides. Between the 9th and 13th Centuries, the Outer Hebrides were ruled by the Norse who began to settle in the Scottish islands. Throughout this period, the islands are often referred to as being part of the ‘Kingdom of Mann and the Isles’, a Norse-ruled area comprising of the Inner and Outer Hebrides, the Islands of the Firth of Clyde and the Isle of Man as well as the Orkney and Shetland Isles. Click here to view the online version of Comhairle nan Eilean Siar’s very useful guide to the arts, crafts & history of the Hebrides. Overlooking Stornoway harbour, Lews Castle was built in the mid-1800s by Sir James Matheson. Sir James bought the island of Lewis in 1844, planted the now impressive woodland area known as the Castle Grounds and built his castle. Lord Leverhulme , of Lever soap company, purchased the island, complete with Lews Castle, for £150,000 in 1918, and in 1923, gifted the whole estate to the people of Lewis. Over the years, the castle was used as a hospital during the Second World War, and until 25 ago as a college and school. It has now been renovated and reopened as a museum and archive in 2016. Museum nan Eilean is located in a modern, purpose-built extension to the restored castle. 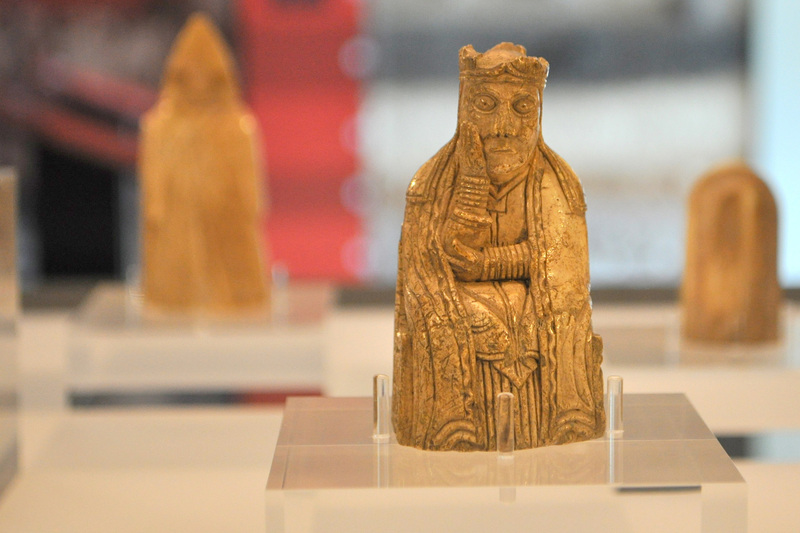 Among the wide range of exhibits, six of the world-famous Lewis Chessmen (discovered in Uig in 1831) are now on long-term loan from the British Museum. Another site of archaeological importance can be found just a few miles from Callanish. Dun Carloway is one of the UK’s best preserved brochs in a stunning location overlooking Loch Roag on the west coast. 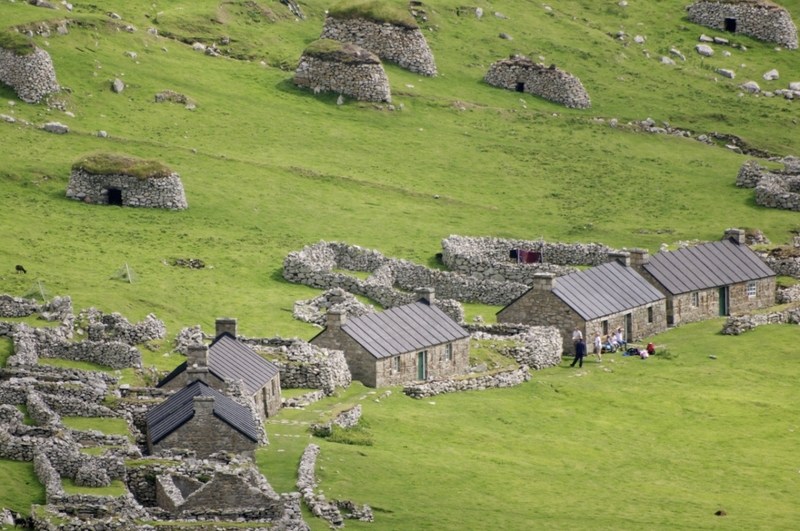 They were the homes and defensive forts of wealthy and powerful families during the Iron Age. About 10 miles north of Gearrannan Blackhouse Village, visitors can gain a further insight into island life at No 42 Arnol. This traditional, fully furnished thatched house once sheltered a family and its animals under the same roof. The ruined blackhouse at No 39 can also be seen, together with the 1920s ‘white house’ which replaced it. White houses – in which a wall separated byre and dwelling – replaced many blackhouses around this time. The smell of peat smoke adds to the experience – even today the fire at the heart of the blackhouse is never allowed to go out. Great Bernera is a small island connected to Lewis by a bridge on the B8059. 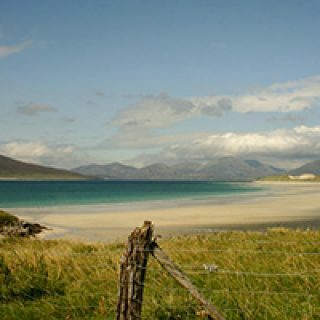 At Bosta in the north west, the island has a stunning beach (see our Hebridean Beaches section), and an Iron Age village. One of the Iron Age houses has been rebuilt, and entry is available during the summer. The island also has its own museum and cafe at Breacleit, situated within the community centre. A short walk from the main A858 near Shawbost and next to Loch Roinavat is a renovated pair of thatched buildings used in past times to process barley grain into meal. The buildings provide a glimpse into the Scandinavian past of Lewis. The mill was powered by water from the stream from the nearby Loch Roinavat. 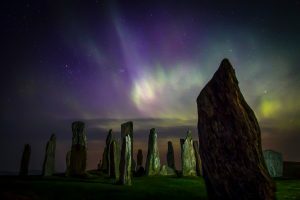 No trip to Lewis would be complete without a visit to the famous and much-photographed Callanish Standing Stones. Situated on the west coast of Lewis, the standing stones were erected around 5000 years ago. Their purpose remains a mystery although excavation in the 1980s found that a burial tomb had been added to the site at some point after the stones were erected. The visitor centre café is open all year round. 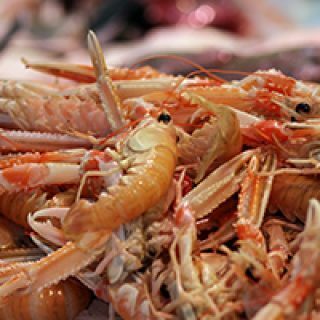 Tourism Hebrides in partnership with The Stornoway Port Authority have produced an excellent 40 page guide to the Outer Hebrides. It covers everything you need to know and has some great suggestions for things to do!